Sanitizing the inside of your dishwasher. Has your dishwasher started to smell? Well your in luck, theres somethings that you can do to get rid of it. 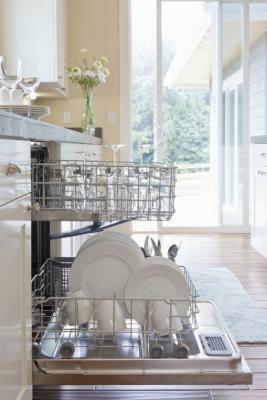 Try Dishwasher Magic, not only does it clean and deoderize but also kills bacteria run it empty. Sprinkle some baking soda on a damp sponge and clean the edges to remove any stuck on food. To clean the inside run a half cup of bleach, you can either do this with an empty dishwasher or full. Running bleach though with the dishes is great during cold and flu season because it sanitizes as it washes.